The glass processing industry lags behind many others in terms of embracing process control and inspection technology as an inherent part of the total process. So far, processors have been able to rely on their own experience and expertise to provide the quality of glass required by the market. But now, requirements are rapidly changing. Just as in the fast-moving consumer electronics industry, people simply expect more. And glass processors need to be able to respond. Quality requirements for glass are getting stricter all the time. Simultaneously, the market is becoming keenly aware of energy consumption, green thinking and sustainable glass products. These factors are forcing glass processors to rethink how they can provide glass that meets market demands. Especially now that more complex glass coatings are being required and size of glass needed is growing, relying on old methods of quality assurance is no longer sufficient. Glass processors need new ways to control the heat more precisely in the tempering and laminating processes to produce the ever-more stunning facades that architects and end customers’ desire. Another driver is the ever fiercer competition in the glass industry. As glass processors are not able to determine the price of glass since it is regarded a commodity product, one way to get ahead is to provide better quality or reduce operational costs. By optimizing the best mix of these two factors, glass processors can break away from the rest of the pack and add more profit to their bottom line. Process control and inspection systems allow glass processors to optimize this mix. They guarantee a higher quality end product, plus enable processors to cut back on operational costs through lower energy consumption, better batch quality control and less rework. Either way, they provide plenty of opportunities to move ahead. Choosing the right process control or inspection system depends on a processor’s long-term objectives. It can be a simple upgrade or control system replacement – or then one of the latest automated inspection systems with all the bells and whistles. Older machines can easily benefit from a quick process control upgrade. The newer systems are easier to use, offer more precise process control and produce better glass quality. For a more automated option, new automation systems feature profiling and more sophisticated control. Operators can record more data from the machine, such as history data, that enables them to have a better understanding of the tempering process as well as better optimization that cuts operational costs and boosts quality. Glaston iControL™ automation system is customizable according to needs. It is the only one available that enables future automation technology upgrades so processors can enhance their process in terms of energy savings, quality control, capacity increase, capability and extensive reporting. When it comes to inspection technology, processors can choose between affordable infrared scanners that help operators control the furnace better or more sophisticated inspection technology systems. Today, 80% of all new furnaces come with infrared scanners. 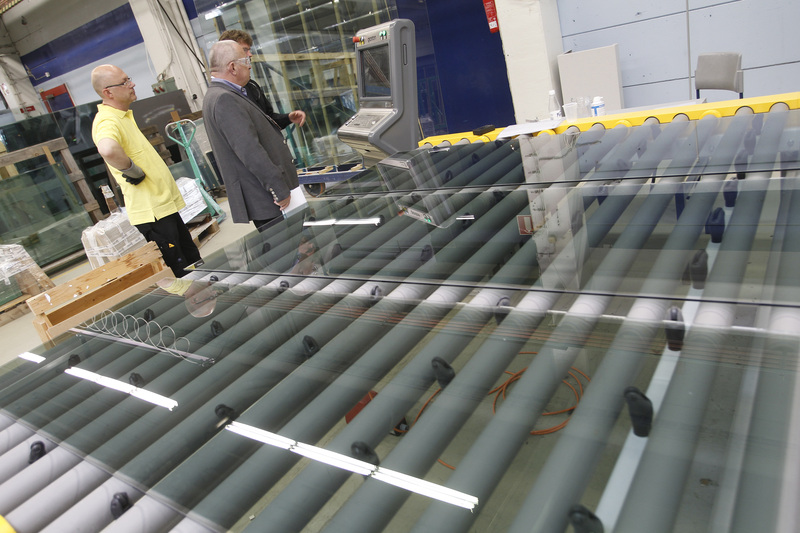 These scan each glass from the furnace to the chiller, measuring temperature and ensuring proper temperature profiles. Pyrometers measured only one spot, but not the whole load. Now, modern infrared scanners give operators a clear view of the entire load. Glass experts with years of experience can provide consultation on the scanner results. Operators just need to send the images to these consultants who will then interpret the results. More advanced inspection systems, such as Glaston iLooK™, measure optical distortions along with many other special parameters. 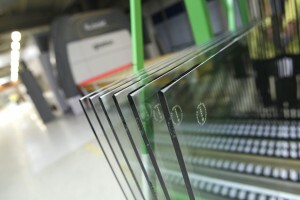 Laminated glass especially requires a very consistent quality across each sheet that will be bond together. Trends in process control and inspection systems call for an increasing level of ease and usability. Today, Glaston’s solutions are the easiest in the market to use, even if an operator has never tempered glass before. With process control, the aim is to build in more sensors and precise adjustments, but hidden from the user. So, large tempering furnaces will become smarter and more multifunctional, just like the consumer electronics we all use daily. Soon, digitalization and the Internet of Things will bring more possibilities to process control by enabling all objects to connect to each other. Big data will add to system capabilities, allowing operators to produce more on time and on-spec, with lower waste and costs. And glass tempering will become fully automated with robots handling the entire process in the not-too-distant future. Just consider the huge transformations in consumer electronics today. These are happening to meet the changing expectations as we consumers demand more ever faster. Similarly, these same changes will transition over to the systems used in processing glass, making smooth operations, end quality and business results more easily attainable. Open-minded software artist who wishes tomorrow was already here today. Humanist and engineer in a messy package who loves new technology an possibilities that come from it. Applied and got into an art school but decided to become a reckless and free engineer in glass industry instead of serious and boring artist. Shameless tabletop drummer with angry Spotify playlist to annoy coworkers.